Using the online hereford database, ‘Internet Solutions’, dairy farmers can source a comprehensive listing of registered NZ Hereford bulls that best suits their requirements. 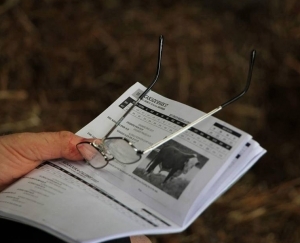 It provides dairy and beef farmers with the ability to thoroughly research the ‘specs’ of potential sires before conducting a visual assessment. When using the online database tool ‘Internet Solutions’, farmers can input the parameters that best suit their farm breeding programme, such as short gestation, low birth weight, calving ease and high Dairy – Indexed bulls. 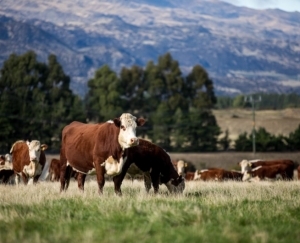 The software will then produce a shortlist of potential animals from registered NZ Hereford herds. Visiting the NZ Herefords website, the entire database of registered NZ bred Herefords animals can be accessed and dairy farmers can then use the following searching procedure to find their ultimate dairy beef genetics. To search – on any page of the NZ Herefords website there are seven search options listed in the red horizontal toolbar: Animal Enquiries, EBV Enquiries, Mating Predictor, Member Enquiries, Sales Catalogues, Selection Indexes and Login (pre-registration required). Using an "EBV Enquiries" as an example – click the link and a template will appear on screen. Enter the dairy beef search criteria to suit your needs and click search. Clicking on the individual animal name will give access to further information including breeder contact details.